You don't have to be a think tank professional to notice that there has been an increase in "bad things" in recent times. Well, here at the Institute this rash of "bad things" got us to thinking, you see that is what we do here, we think-- ponder the big issues-- if you will. 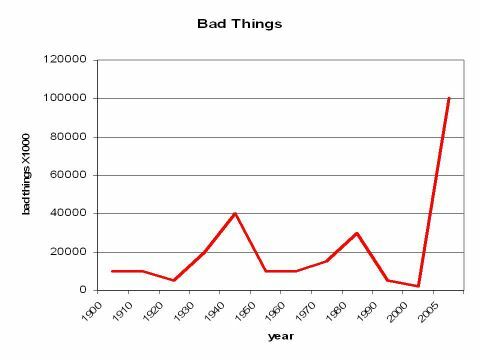 I recently directed my staff to assemble data on all the "bad things" that have happened in the last century. After my staff scoured the archives for "bad things", I assembled the data into this handy little graph, designed to make a complex issue understandable for even non-think tank professionals-- laypeoples-- if you please. Well, needless to say, this data, is alarming. 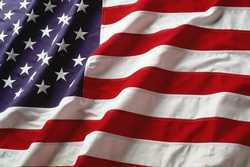 We are now seeing more "bad things" than during the Depression, WWII, the Holocaust and the Reagan years combined. Well, you don't have to be a think-tank professional to ponder if there is something that might be causing this epidemic of "bad things". So again I directed my staff to look at the data on "bad things" from the last ten years and see if there is some sort of common theme to the "bad things" that keep happening. In the old days of think tank Institutes, this may have taken years, but with modern google technology and the New York Times this can be done with remarkable speed. I know because I remarked, "wow staff, that was speedy". 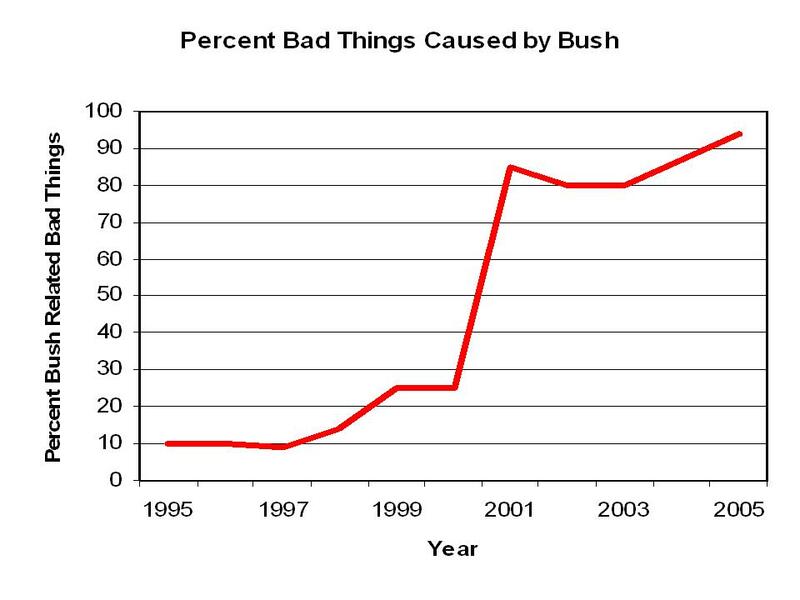 This may not come as any surprise to some savvy internet peoples, but, we here at the Institute believe that this is the first time anyone has comprehensively studied "bad things" and the undeniable link between these "bad things" and George W. Bush. As this is a preliminary inquiry, we are not yet prepared to come to any final conclusions regarding this data on "bad things", but we do have a few observations. First, it has become clear that being President gives a person the ability to cause "bad things" at a greater rate than the average "bad things" causer person. 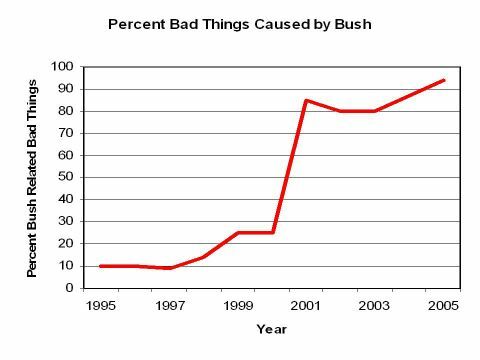 Second, not only has the number of "bad things" gone up, but the percentage of "bad things" caused by Bush has increased to point where you can say Bush has a virtual monopoly on causing "bad things". If this continues, the upstart, entrepreneurial "bad things" causer who may not be well heeled or politically connected will be the hardest hit. Rest assured, we, here at the Institute, will continue to follow this important historical development.